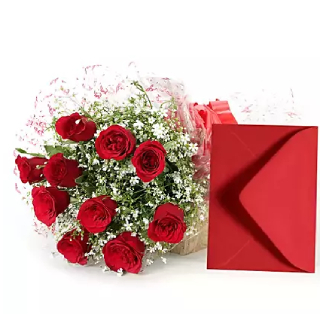 Shop for Bouquet of 10 Red Roses worth Rs.799 at Rs.599 at FernsnPetals. There is no deal code required to get this offer. Offer is valid for the limited period so gift now.